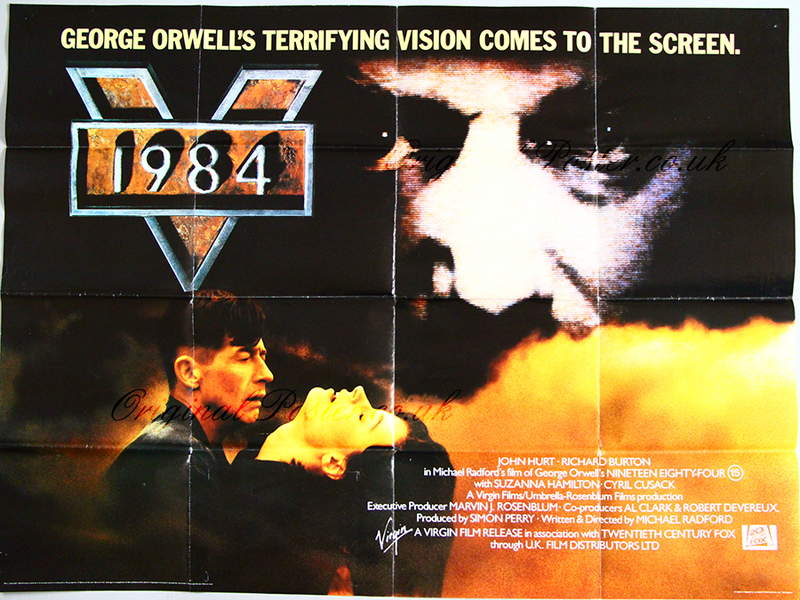 Details George Orwell's classic novel exploring censorship and propaganda was most appropriately filmed here in 1984. This film poster is in very good folded condition and printed in England by Lonsdale & Bartholomew ltd. There are two tiny slithers of sellotape near the bottom left horizontal fold.